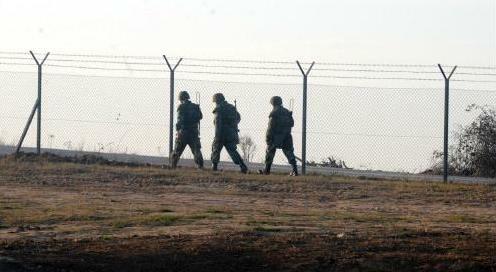 Border Security Agents perusing the U.S./Mexican border. Mexican drug cartels are creative. They’re creative with laundering their money across our physical borders and they’re creative with money laundering in cyber currency. Sylvia Longmire is a former Intelligence Analyst and USAF Special Agent. She is also the owner of Longmire Consulting and has extensive experience dealing with cartels and their money laundering. Would you mind telling us a little bit about yourself and your professional background? I started my career in the U.S. Air Force, as an active duty officer and special agent and I did a lot of work in counter intelligence, counter terrorism and counter espionage. Toward the end of my eight years in the Air Force, I did some analysis on narcoterrorism groups in Columbia, Peru and Latin America and Peru, and others. I was medically retired in 2005. But, my husband is in the military, so we ended up in Northern California and I worked for the State of California’s Office of Homeland Security at the state’s fusion center for four years as a senior border security analyst. Until 2009 I was focused almost exclusively on the cartels, on drug trafficking, money laundering, weapons trafficking, and human smuggling, etc. In 2009, we had to move and I started my consulting business, I started freelance writing and now I’m a contributing editor for Homeland Security Today Magazine; I’m the author of two published books Border Insecurity, among other publications. I do a lot of training for police in the realm of the cartels and border violence. What are some of the creative methods used by Mexican drug cartels to launder their money through US-based banks and businesses? Have you come across any “Breaking Bad”-esque moments that were particularly sophisticated? The great thing about the cartels, there’s not much that’s great about them, but it kind of makes you laugh at some of the techniques that they use, not just for money laundering, but for moving drugs across the border. That’s one of the reasons why drug cartels are so successful and have managed to stay one step ahead of us. We’re always kind of playing a game of catch up. An example of money laundering is Jose Trevino Morales, who is the brother of the former head of the very violent Los Santos cartel in Mexico. For years he was running a very lucrative money laundering operation out of Dallas, Texas, and Oklahoma in the horse racing business. Where they were basically buying and selling horses and racing them at this track and making a lot of money through the winnings and breeding these horses in a ranch in Oklahoma. They would buy the horses for a relatively small amount of money and then they would sell them for a really large amount of money and they would launder the money that way and through the winnings. It took a long time for the authorities to bust up that laundering ring. They’ve also recently gotten involved in the mining business. Most people know that Mexico is well known for its petroleum exports and also for its tourism industry, but mining is one of the largest industries in Mexico as far as exports. Now the cartels have gotten into that, particularly with iron ore. The La Familia and Knights Templar cartel are involved in selling iron ore directly to some Chinese organizations. They get involved with extracting these minerals, sometimes legally, but there are a lot of mines that are not legally operated, which is lucrative for them because they don’t have to worry about the permits or anything like that. But, it’s dangerous for the people working there. So, they will extract these minerals or they will go to legal mining operations and pressure, threaten or extort the people who are running these mines. They will go and they will sell, they will invest, in these mining operations, ship the minerals across the world, and then when they sell the minerals. That’s when they launder their money because that exchange looks legal on papers. So those are just some of the examples and there are quite a bit more. Cyber currency and money laundering have forced traditional border security forces to be on their toes. Have border security officials become more flexible? Are they equipped to deal with the fluidity of these criminal organizations? Cyber currency has been on the radar for at least a few years now. The average American probably has not heard of bitcoin or some of these cyber currencies that are out there because they really only got their start relatively recently, but the Treasury Department and law enforcement agencies have become attuned to the fact that terrorists groups and drug trafficking organizations are now taking a look at these kinds of cyber currencies in these markets as a viable way to transfer money from one place to another. Recently I was asking the Deputy Director of ICE if they have looked into cyber currency and how aware are they of what’s going on. They know what’s going on, they’re taking a look at it and they have active investigations into the cartels using cyber currency. Still, it’s really hard to detect because its so anonymous and it does take a certain degree of technical skill to get into what we call the dark web because you have to use a certain part of the internet that is not accessible to just everybody. It’s a little like the stock market; it doesn’t have a set value so it’s very volatile, which can make it a little riskier for cartels to transfer money and use it to launder money. As far as how popular it is or how thoroughly it’s being used by cartels, it’s not an absolutely enormous trend right now, but it’s enough of a move towards using cyber currency that U.S. law enforcement agencies like ICE and the Treasury Department are taking a look at it and seeing where it goes in the coming years.